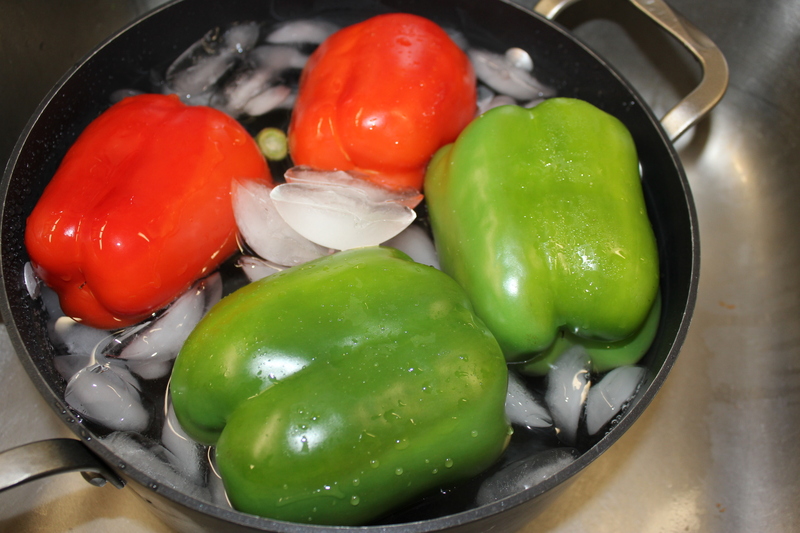 Wash the peppers, parboil them for 5 minutes and then plunge them in an ice bath to stop the cooking. Set them aside to stuff later. Heat the butter and olive oil in a large skillet. Add the onions and garlic and sauté for 2-3 minutes over medium heat. 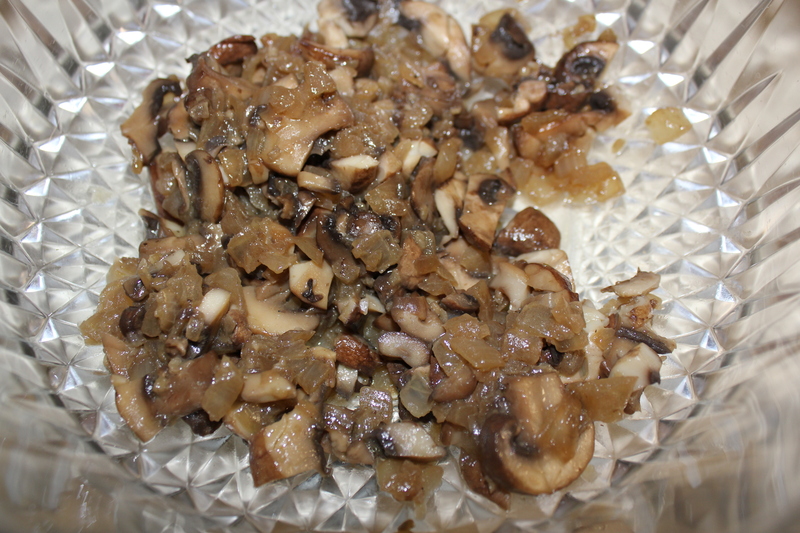 Add the mushrooms and salt to taste and for another 2-3 minutes. Pour in the sherry and let the wine and water from mushrooms cook off completely, about 5 more minutes or so. Remove from heat. 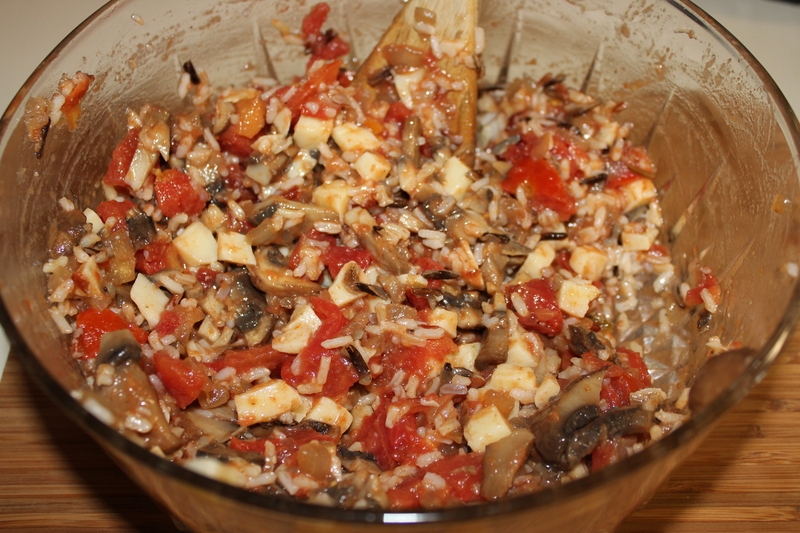 Combine the mushrooms, wild rice, diced cheese and tomatoes in a medium bowl and season with salt and pepper to taste. Slice the tops off of the peppers and remove the membranes and seeds. Stuff them with the mushroom, rice and cheese mixture and place in a square baking dish with about 1/2 an inch of water on the bottom. Bake for 25 minutes. 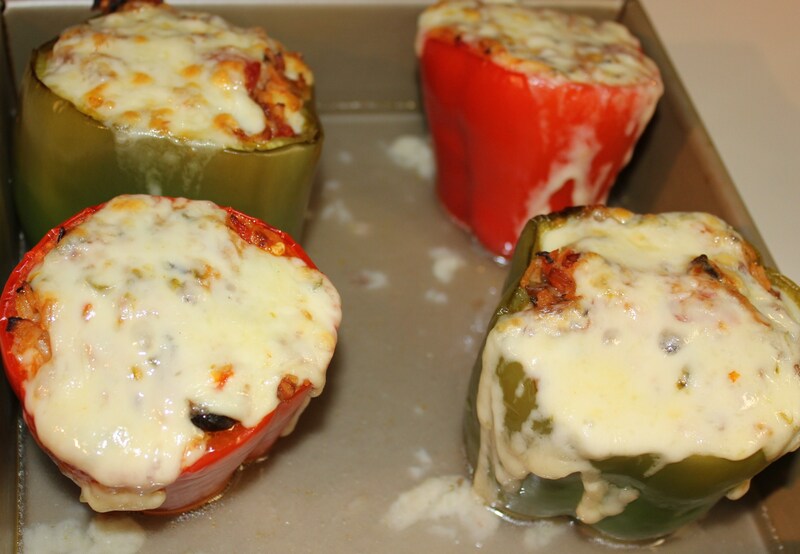 Top each pepper with a slice of the cheese and continue baking until the cheese starts to melt. Remove the peppers from the oven and let stand for a few minutes. Serve with a salad or side dish of your choice. These are so yummy – between the spicy cheese and the earthiness of the mushrooms you won’t even miss any meat! 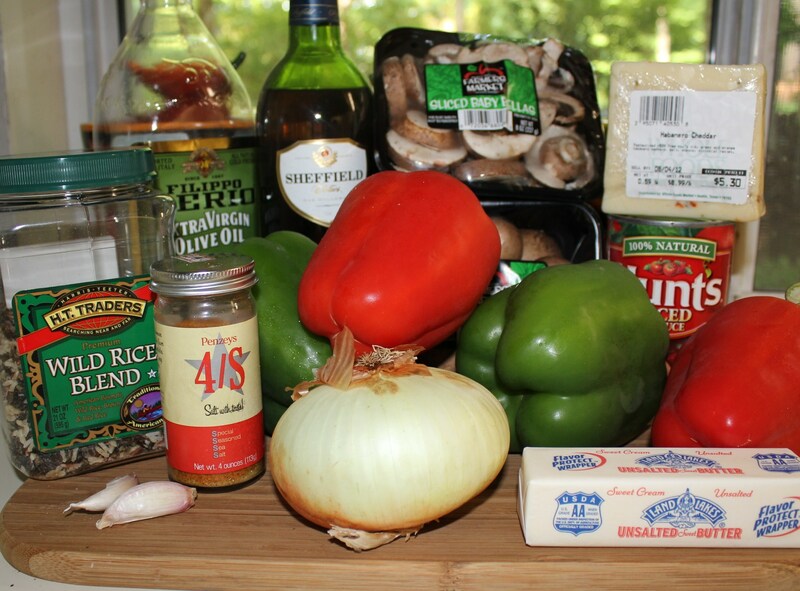 This entry was posted in Pasta, Rice, etc., Recipes, Vegetables/Vegetarian/Vegan and tagged bell peppers stuffed mushrooms rice cheese, eat drink and be merry, kel's cafe of all things food, Kelley Chisholm blog, Kelley Chisholm recipes, peppers stuffed habanero cheese, peppers stuffed mushrooms, peppers stuffed wild rice, portabella recipes, stuffed bell peppers. Bookmark the permalink. Ooh, gonna try this one. We have a bunch of peppers ready to pick soon :). 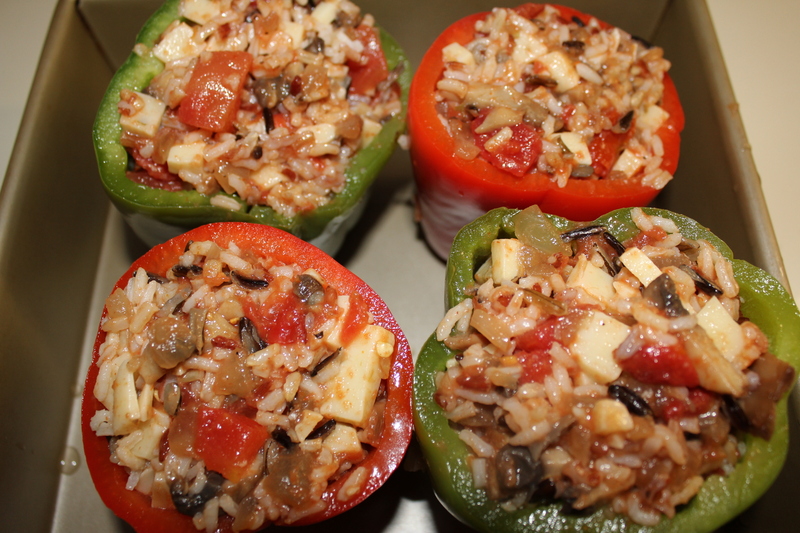 I always loved stuffed pepers, but I’m not wild about rice. This looks so good I’m going to have to try it and I can’t wait for the black bean stuffing recipe! 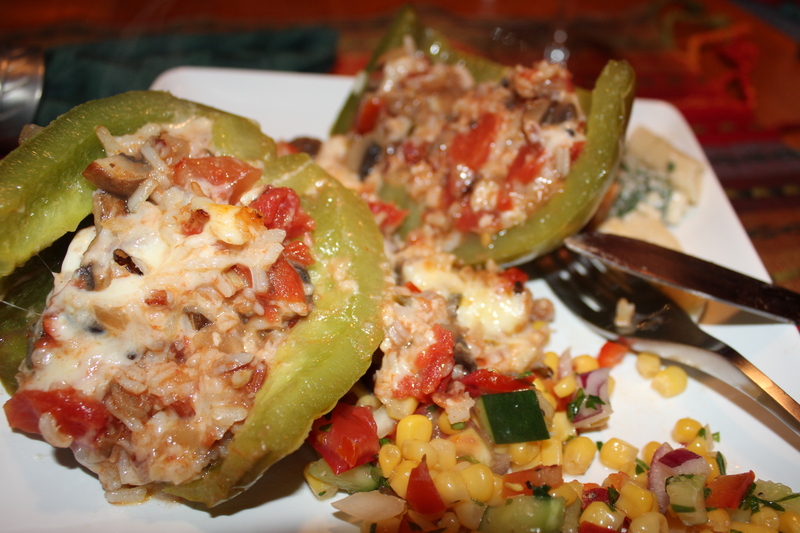 I prepared these stuffed peppers and absolutely love them. 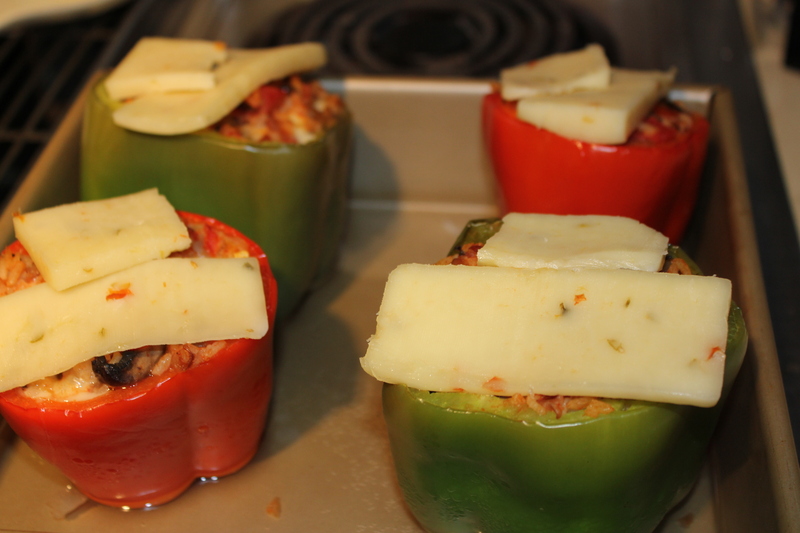 I saved the tops from the peppers and with the left over stuffing I had another meal. Thank you for sharing . I too, await the black bean stuffing Yummo !! Thanks, Phyllis! I’m really glad you liked these. 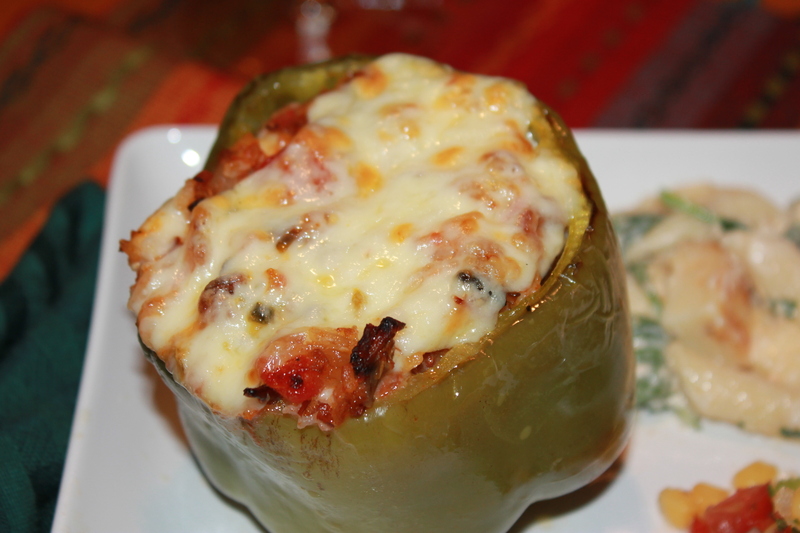 I’ll have the other stuffed pepper recipe posted in the next few weeks.